Movie will start after sundown. 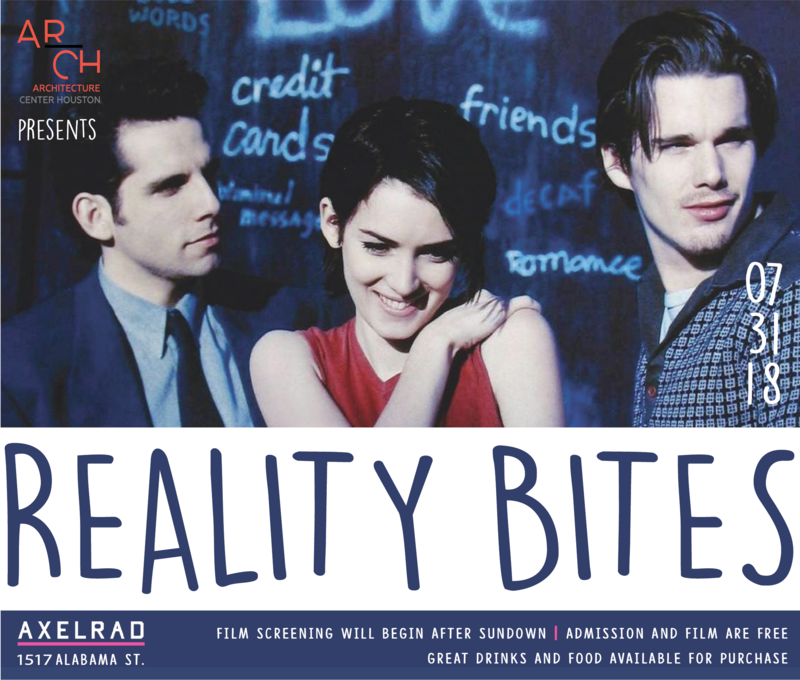 Join Architecture Center Houston for a public screening of Reality Bites. The streets of Houston provide an appropriate backdrop for this Generation X comedy/drama written by Helen Childress and directed by Ben Stiller. We'll have a front row seat to watch Winona Ryder, Ethan Hawke, Ben Stiller and Janean Garofalo flounder in their attempts to forge relationships and begin careers. Admission and film are free. Great drinks and food available for purchase.